Alarm systems have been around for many years now. Since thieves and burglars have gotten smarter, the alarm systems have also become more advanced. 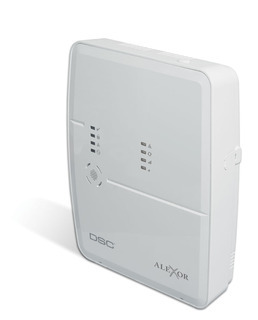 We install mostly the DSC alarm panels, they are ULC approved which means that they are also accepted by insurance companies to give you a reduction on your monthly premium. When you leave your house and you arm your alarm system with your personal code on the Keypad or even more convenient a key fob, a signal is going to be sent to the alarm reporting center. So they actually know when you leave or come back, and even who armed or disarmed your alarm system. For instance, your son or daughter comes in and disarms it, your alarm system is sending a signal that just disarmed the system and it can be set up that you will receive a notification to your smart phone. Nothing has to be a surprise for you anymore. The alarm panel is not only for burglary anymore; Smoke, heat, water (flood) and carbon monoxide detectors can be connected and be monitored 24/7 even when your system is not armed. You may even have the key-fob to be programmed as a medical pendant, when you press the key your alarm system dials the alarm reporting center and an operator calls you, or even talks to you through your keypad on the wall. This two-way audio function can also be used to communicate with the person in the house when the system was armed and the burglar is still in the house. An alarm system without monitoring does not give you the same sense of security as one that is monitored.